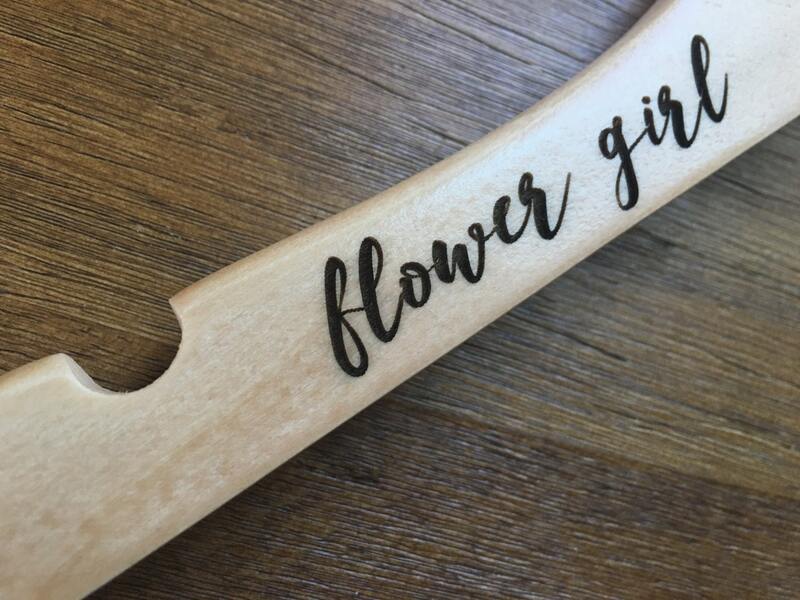 Because your wedding party deserves custom, especially the flower girl! 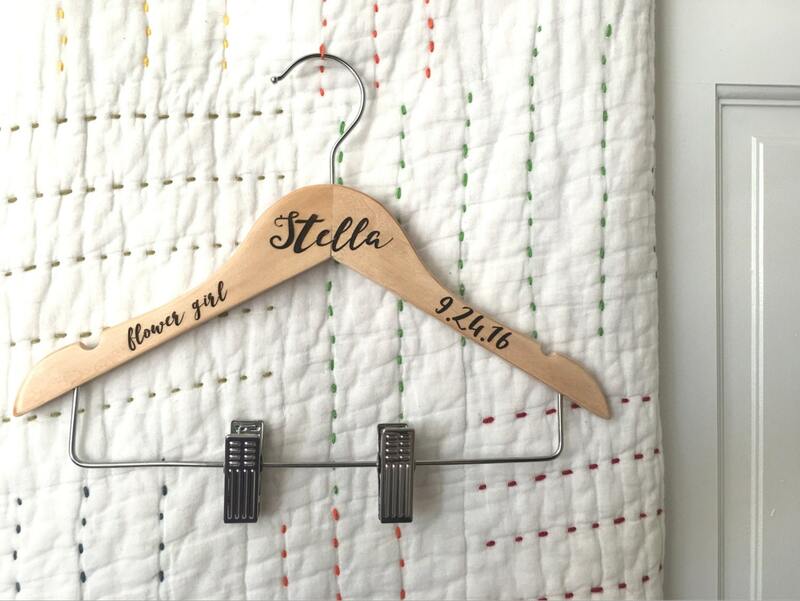 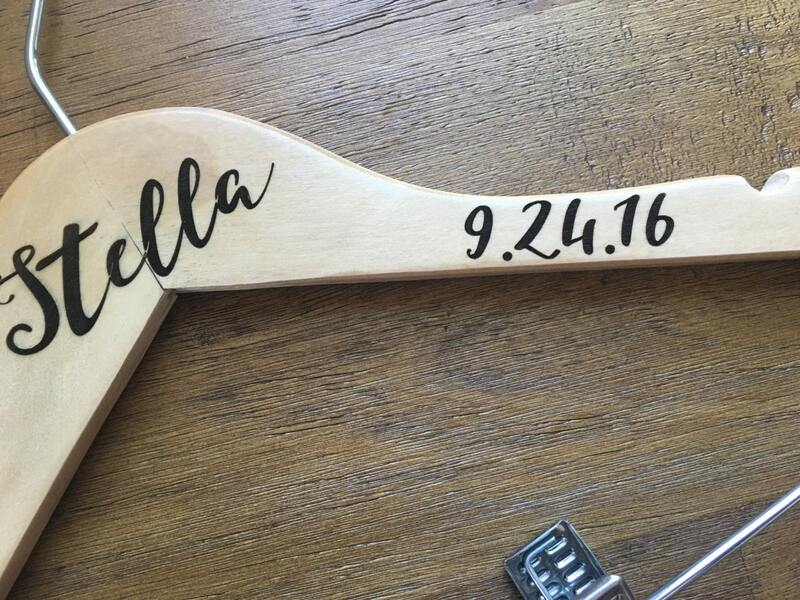 Hangers will be laser engraved with the custom name on the top and flower girl and wedding date on the sides as pictured. 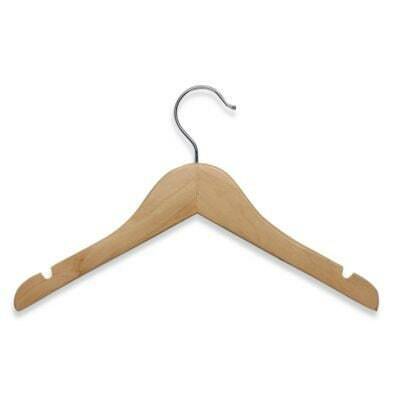 A must-have versatile, quality clothes hanger that is perfect for child-size clothing. 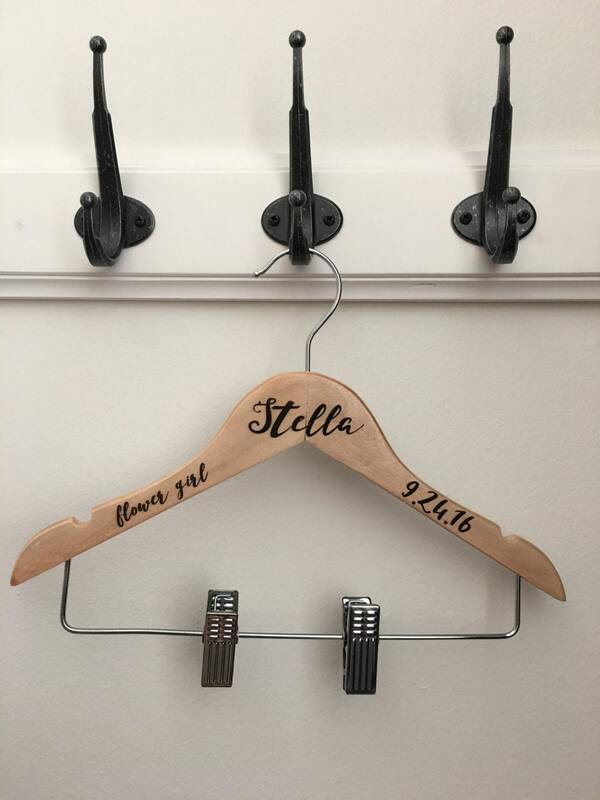 Large rod hook is designed to fit over any closet bar and integrated accessory hooks keep small dresses or tank tops hanging neatly in place. 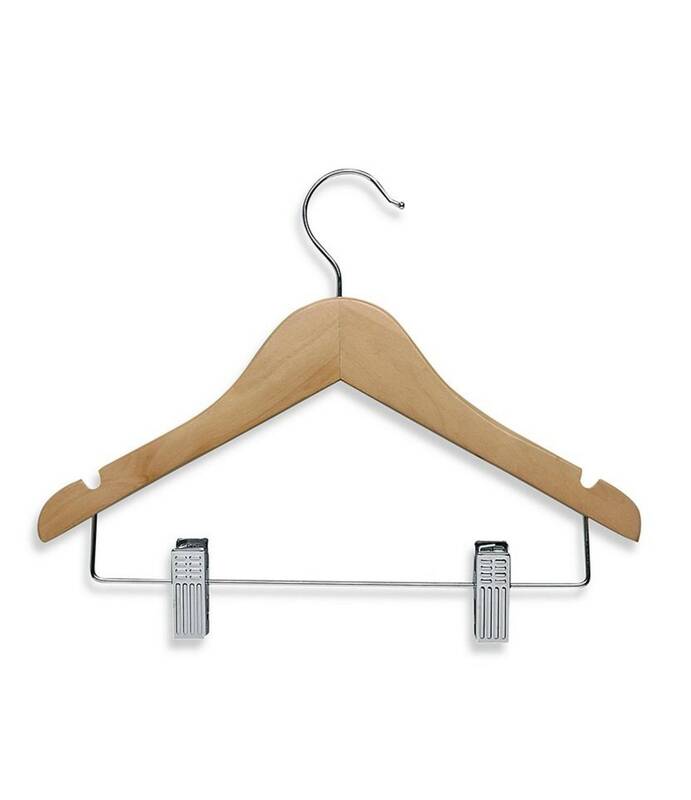 Adjustable pant or skirt clips secure coordinating pieces together. 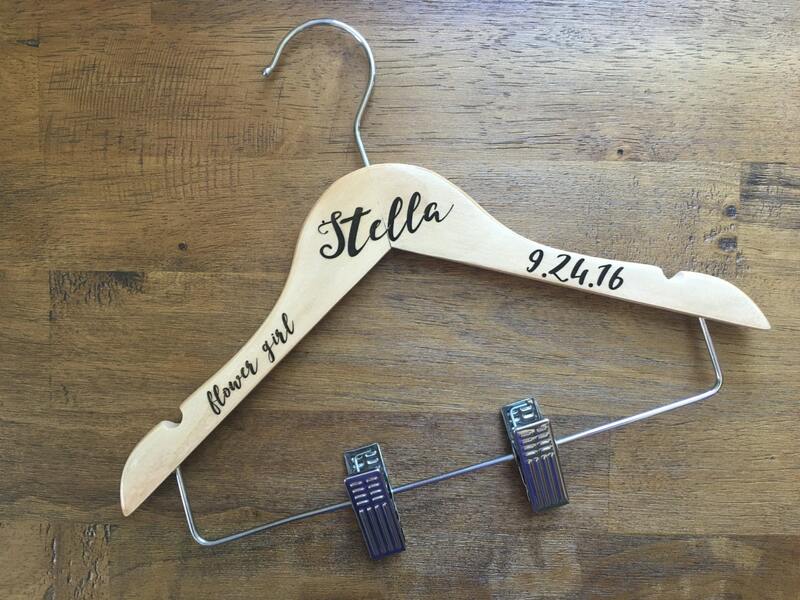 These will instantly become part of the beauty of your special day.